4 years ago Geoff was diagnosed with the sudden onset of Guillain Barre Syndrome. This is an auto immune reaction that destroys the nerve sheaths throughout the body and is triggered by some commonplace infection. 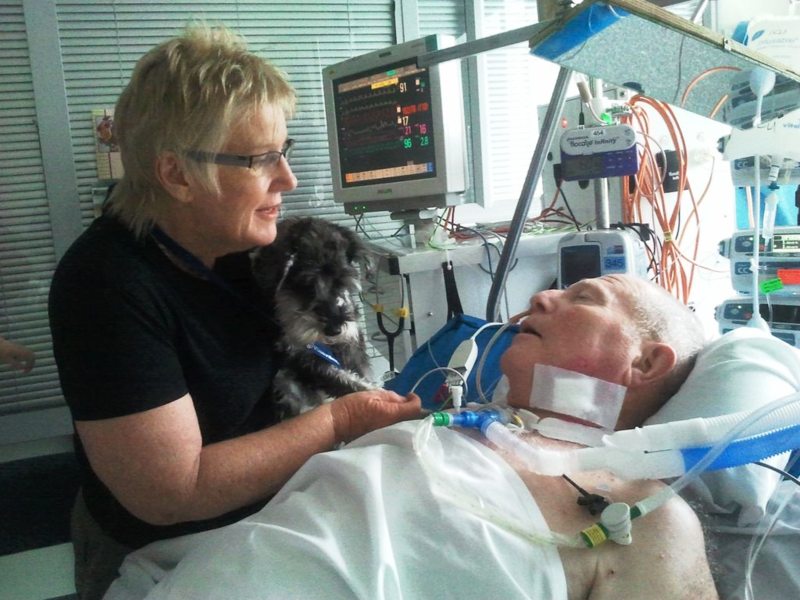 Within a few days he was totally paralyzed and then on a ventilator for 8 weeks. He had been an active 74 yr. old man with an active wife- Raewyn, and together they shared many holidays all involving activities, adventures and exercise! So this was a huge set back for both of them. 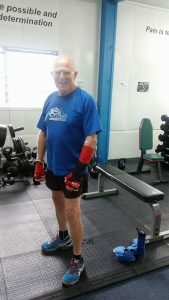 When you are fit and healthy you think that is how you will be for the rest of your life- and you can not even imagine not being able to move and get this disease. After speaking to Geoff, it made me yet again be so grateful for what I have, and that is why I am sharing his story. His (and Raewyns!) motivation, commitment to getting better, positive attitude and looking into the future really helped him get to where he is today- back to exercise, lifting weights, going on rafting holidays and living life to the full. He was wanting to sharing his story also- as it “may contribute to folk who need to see that life’s ups & downs don’t have to beat them”. Be grateful for your current health, body, and all its strengths and weaknesses. Appreciate what you have! When we wake up in the morning- we have the opportunity to do what ever we want within the day- make sure you choose something that is going to make you happy- make sure you enjoy your work! 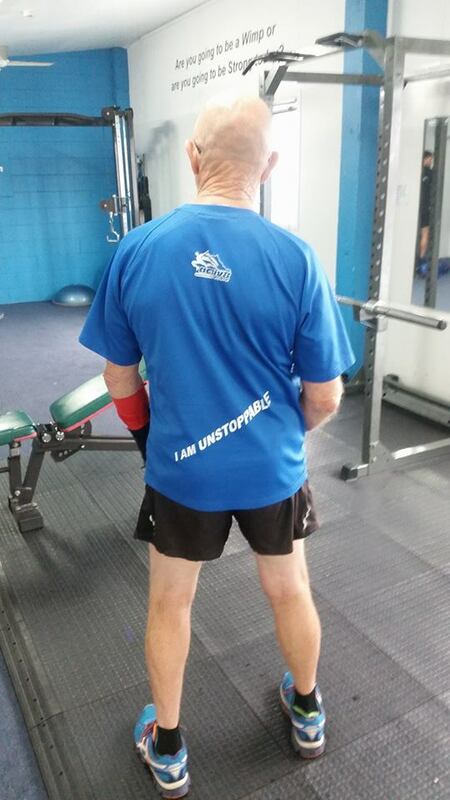 note: His Activ8 T.Shirt says “I am unstoppable”, and that is exactly what he is- thanks for the inspiration Geoff- keep up all your hard work and effort.